Panda Condos by Lifetime Developments is a new mixed-use condominium development coming soon to downtown Toronto, Ontario within walking distance to the Toronto Eaton Centre. This redevelopment is located on the former site of the World's Biggest Book Store and proposes a mixed-use slab-style 30 storey building with 572 residential units and commercial/retail located in the 3-storey podium designed by architectsAlliance. The award-winning Lifetime Developments is "recognized as a condo developer who knows about the neighbourhood!" The head office is situated in Toronto on Jackes Avenue in a 28,000 sq. ft. heritage building. They have been building commercial and residential properties across the Greater Toronto Area in the last three decades. Whitehaus Condos - A new condominium development with Knightstone Capital Management Inc. currently in pre-construction located at 2360 Yonge Street in Toronto, Ontario with 28 storeys and 234 units. Sales for available units start from the mid $200,000's. Bisha Hotel and Residences - A new condominium development with INK Entertainment currently under construction and is selling located at King Street West and Blue Jays Way in Toronto, Ontario with 44 storeys and 355 units. Available unit size range from 389 square feet to 699 square feet designed by Wallman Architects. Scheduled to be completed in 2016 and sales for available units starting from the $300,000's. Amenities include concierge, exercise room, games room, lounge, cafe, business centre, cabanas, rooftop terrace, bar, restaurant and dining area. The Bond Condos - A new condominium development currently under construction and is selling located at 290 Adelaide Street West in Toronto, Ontario with 42 storeys and 393 units. Available unit size range from 524 square feet to 3,568 square feet with sales for available units ranging in price from $391,900 to over $3,000,000. 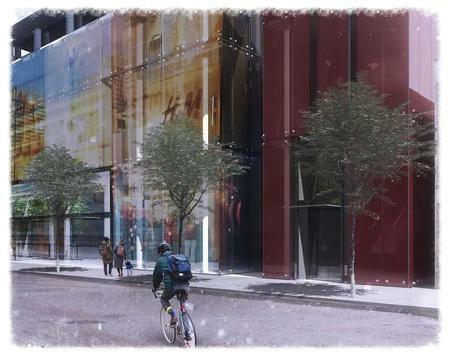 Designed by CORE Architects and scheduled to be completed in May of 2016. Amenities include exercise room, yoga and pilates studio, terrace, BBQ area, sun deck, lounge, fireplace, exercise room, games room and golf training facilities. X2 Condos - A new condominium development with Great Gulf that was completed in 2015 and is selling located at Jarvis Street and Charles Street East in Toronto, Ontario with 49 storeys and 470 units. Available unit size range from 416 square feet to 945 square feet designed by Wallman Architects. Sales for available units start from the $480,000's. Amenities include exercise room, yoga and pilates studio, bar, piano lounge, billiards room, steam room, pool and dining area. Four Seasons Toronto - A new condominium development with Menkes Developments Ltd. that was completed in 2012 and is sold out located at 60 Yorkville Avenue in Toronto, Ontario with 204 units designed by architectsAlliance and Page + Steele / IBI Group Architects. Amenities include concierge, pool, spa, bar, housekeeping services, meeting room and business centre. Finally, in addition to Lifetime Developments' many projects is the up and coming Panda Condos designed by architectsAlliance with 30 storeys and 572 units. 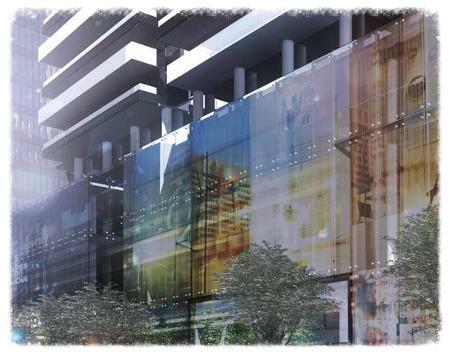 Register your interest with us today for the Panda Condos a.k.a World's Biggest Book Store by Lifetime Developments! For more information, please register today for the Panda Condos.